Offering outstanding value for money, backed by exceptional reliability of product, Pacific Breeze is a new brand of specialist swimming pool equipment sourced and supplied by the one of the UK’s most experienced swimming pool service and build companies. 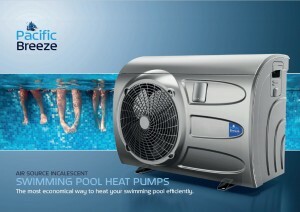 Initially launched with a range of heat pumps, filters and pumps, Pacific Breeze aims to offer the trade expertly-sourced products that have only been added to the range following extensive testing and market trials. Contact the team to place your trial orders for one or two products although bulk buyers are able to create their own bespoke brand. Call to discuss the huge potential for your business.